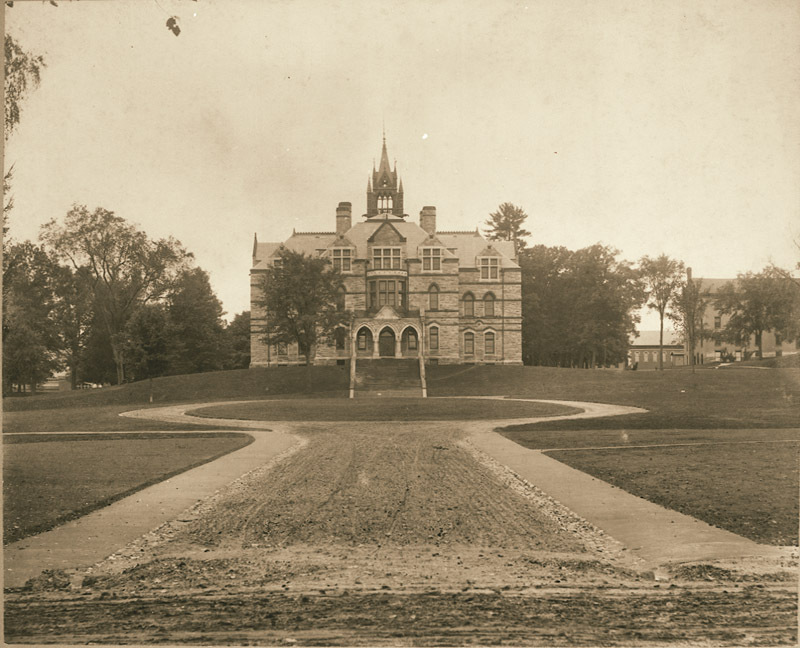 The second incarnation of Walker Hall, shown here from the front with a circular walkway, was completed in 1883 after the original building was gutted by fire. A portion of the outside wall survived the fire, was strengthened on the inside and incorporated into the new building. It was razed in 1963 to make room for the construction of Frost Library. Lovell, John L., 1825-1903, “Walker Hall at Amherst College,” Digital Amherst, accessed April 23, 2019, http://digitalamherst.org/items/show/235.